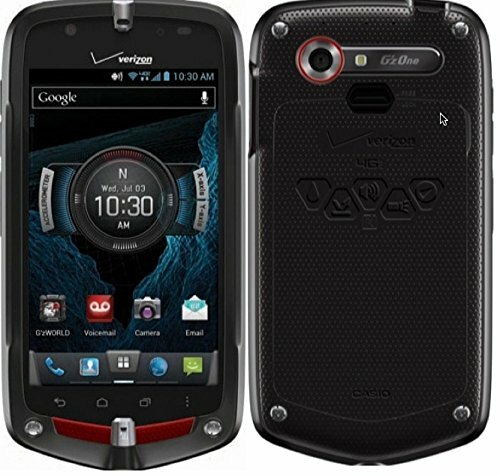 Casio G'zOne Commando 4G LTE C811 Verizon Android Rugged Android Smart Phone (Latest Model) by Casio at Got Busted Mobile. MPN: Casio G'zOne Commando C811 4G LTE. Hurry! Limited time offer. Offer valid only while supplies last. This is a Casio G'zOne Commando C811 phone for Verizon. The Casio Commando is known for its rugged durability while sporting a touch screen display. Here is the easy way to fix some of the simple problem. Restore the phone first to see if this help. 1. Ensure the device is powered off. Note If screen is frozen, remove/reinsert battery. 2. Press the Power button (located on the top right edge) to power the device on. 3. When Now Loading displays on the device, press and hold the Power button (located on the top-right edge), the Volume Up button (located on the left edge near the top) and the Menu icon Menu icon (located on bottom-right) for 20-30 seconds. Note Device vibrates several times. 4. Release all buttons once the Android system recovery screen appears.. 5. When prompted with "Permanently Erase User Data and Reset Settings? ", select "yes --- delete all user data." Note Utilize the Volume buttons to highlight and the Power button to select. 6. When prompted with "Are you sure you want to continue with erase? ", select "Yes -- delete all user data". Note Allow several minutes for the factory data reset and reboot processes to complete.